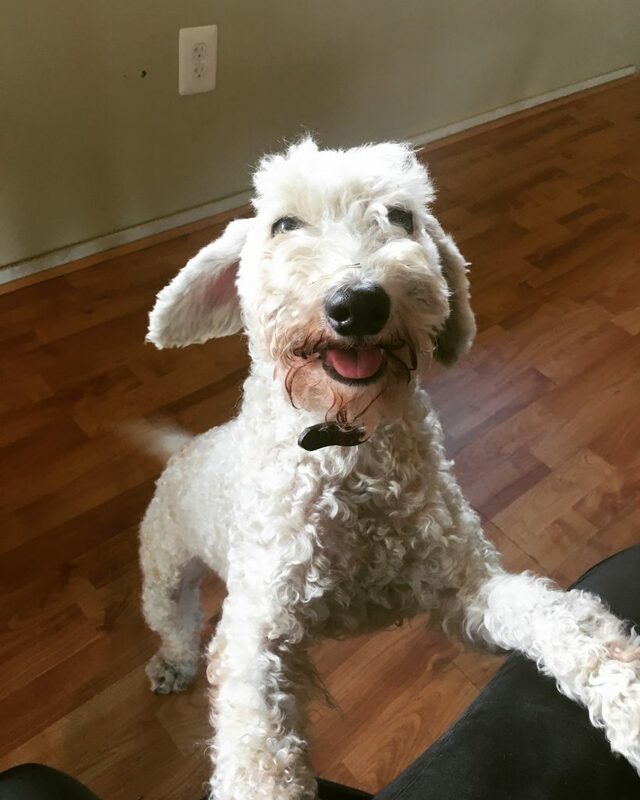 PoPville » Update: Owner found! “I found a dog hanging out around 14th and Crittenden St NW yesterday (7/11) around noon. He’s a very sweet terrier/poodle mix that had a collar but no tags and looks recently groomed. I have registered him with the Humane Society and put out signs and posts on social media but no leads yet. I went to the vet with him this morning and he does have a chip, but it is not registered.